Happy Friday me sweet friends! The week flew by (they always do), and the summer season is winding down! I wanted to share with you how I like to take a few minutes at the end of each week to stop and reflect on what I am thankful for, how I am feeling (physically, spiritually, mentally), what things are helping/encouraging for me and my family, what things are NOT working. And encourage you to do the same! Do you take time each week to reflect? I would love to know? 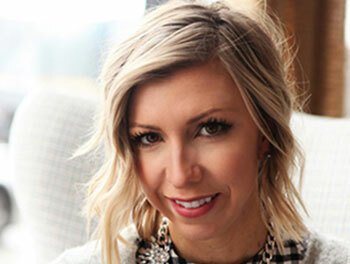 Since this week is coming to an end, I thought it would to fun to share a few of things that I am loving right now… in my closet, in my pantry, in my makeup bag, and what keeps me motivated and encouraged throughout the day. Because we need to help each other out, am I right friends?! 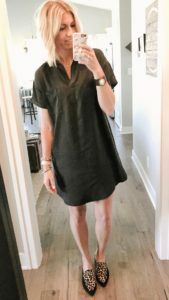 This black shirt dress is a great transitional piece to take you from summer to fall. I love how it can be easily dressed up of down and it is an all-in-one outfit, which is a bonus. These basic tee’s are amazing quality, and under $10!! 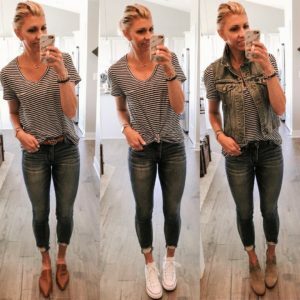 I have this tee in a couple different colors, and shared three different ways to style a basic tee on my Instagram (it is saved in my highlights). 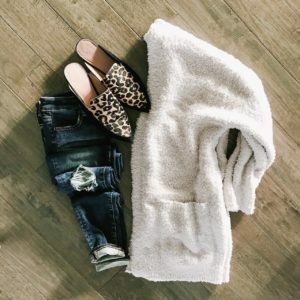 A cozy cardigan that I can throw on when I am at home just lounging around, is a must for my wardrobe. I LOVE this super comfy one. Wear it around the house over your pj’s, or wear it out with skinny jeans, or leggings, and a graphic tee for an everyday uniform. 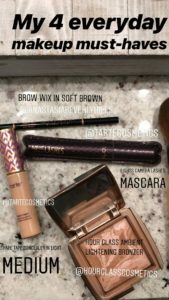 I shared my four everyday makeup must-have’s this week on my Instagram stories. The podcasts I have been listening to lately… Rise Podcast with Rachel Hollis, Risen Motherhood, The Chalene Show; have all been keeping me encouraged, learning, and growing, while I am doing the dishes, working out, or winding down before bed each day. This Rocket Fuel Latte Recipe has kept me going when I need a little extra pep in my step! Plus it has tons of added protein and healthy fats! And it takes 2 minutes to make…who needs Starbucks when you can make this creamy, amazing treat, and save $5?!! -Pour and enjoy. It comes out super creamy, and delicious! I hope you all have an amazing weekend! I would love to hear from you if you try one of these pieces, tips, or recipes? Leave me a comment below. 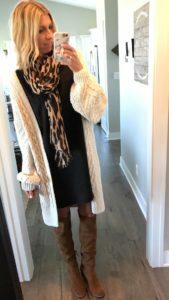 Come say hi over on Instagram where I share daily outfitting inspiration, encouragement, style tips, and mom life. 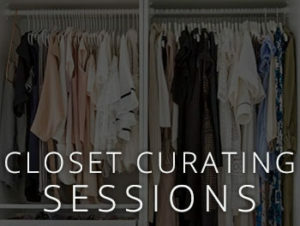 And I would love for you to join my Facebook style group along with the 5100 other amazing women, as we share shopping tips, weekly LIVE style tutorials, and style advice, and more.